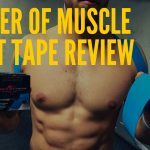 Home » Master of Muscle Beast Tape Review – Did It Stay On? Master of Muscle Beast Tape Review – Did It Stay On? 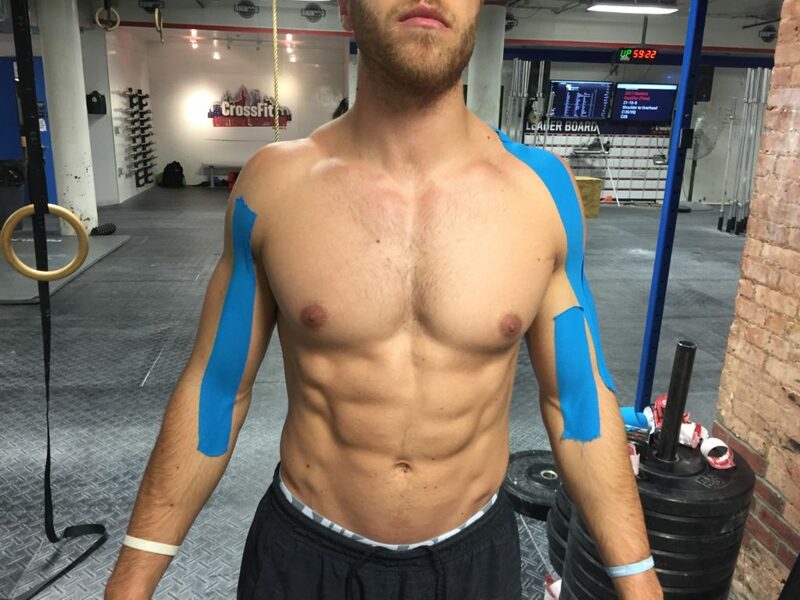 Master of Muscle Beast Tape is a cotton based kinesiology tape that’s designed for multiple types of strength athletes. Like most kinesiology tapes, Beast Tape is said to promote performance, recovery, and reduce fatigue by providing the body with support. Their tape is composed of 97% cotton and 3% nylon (which I couldn’t find in the video below), so I was excited to see how this blend stacked up to other cotton and synthetic based tapes we’ve tried. We tested Beast Tape in a variety of criteria including: stability, comfort & fit, material, durability, and price. Click HERE to shop Beast Tape. One aspect I always look for when trying out cotton tape is how much stability it provides joints. This style of tape is often lighter and designed to promote light support, while not limiting mobility. I found this to be true for Beast Tape, as it never limited my range of motion at any of my joints. If you’re looking for a tape with light support, especially in mobility based movements, then this may be a good option for you. There was one issue I experienced with this tape, and that was with the edges coming off at the creases of my joints. As I got progressively more sweaty in workouts I found the tape to lose some of its initial stability. Some loss of stability is expected over time with cotton tapes, but Beast Tape came off a little too quickly on some of my joints. A highlight that comes with Beast Tape’s cotton blend is how comfortable it felt on the skin. I liked the form fitting cotton with the small addition of nylon because it wrapped the muscles well. They recommend heating the adhesive for a longer/firmer stick, and I found that to be true. If you want the tape to be extremely snug in its fit, then I’d recommend having someone help you apply it with heat. The heated adhesive aspect is a feature a lot of tapes offer, but cotton tapes often work better when the heated aspect (they hold heat better). While the tape hugged the body well when heated, I did notice there was a slight issue with it absorbing water in the creases of my joints as I got more sweaty. The tape itself didn’t absorb water, but the joint below it held moisture, which impacted the tape’s ability to remain snug on the body and lessened the adhesive, even when heated. Like stated above, this tape is a cotton blend made of 97% cotton and 3% nylon. Cotton tapes are softer on the body and cause less irritation, while the nylon makes the tape flexible and form fitting to joints. I personally liked the cotton blend Beast Tape is made of. I thought it was good compromise between a soft, light tape with a flexible feeling, plus it could be a good option for those with sensitive skin. My only issue specifically with the material of this tape – besides the few adhesive problems mentioned above – was the fact that our roll had two rolls sewn together. This gave us a complete wash of about four to six inches of tape, aka lost money. Beast Tape’s site says this tape can be used for up to three days. This is pretty standard for cotton tapes, because you’ll often find that they experience wear and tear much quicker than synthetic based tapes. I’m not entirely convinced, even when really this tape is heated up that it will be useful for three days (mine came off in two). I found that the tape stuck on the skin for a good amount of time, but lost its effectiveness in providing my joint stability over three sweaty gym sessions. If you need a long lasting tape, then I don’t think Beast Tape will efficiently get the job done for you. For shorter intermittent lifting sessions this tape held up well, but I could see prolonged use, especially when sweating, being an issue in this tape’s performance. The price is possibly the best part of this tape. It’s a cost efficient tape and is very popular on Amazon. Each roll’s price ranges from $7.97 to $19.99 pending on if there’s a sale taking place. From the times I checked Amazon, I found that there was typically a sale going on, so you may be able to find rolls on sale and avoid the original price tag. For the price, I think this tape is an exceptional choice for someone who needs a tape for shorter timeline settings. 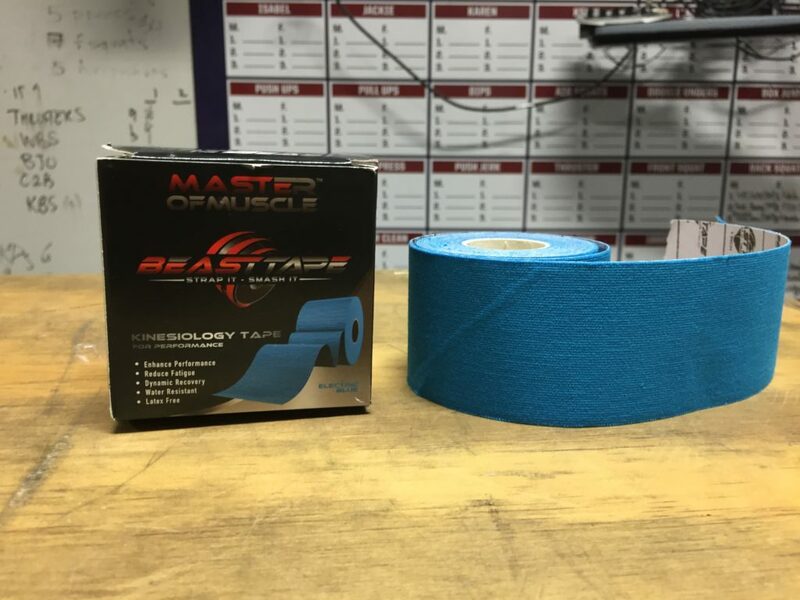 Master of Muscle Beast Tape is an inexpensive cotton based tape that’s grown in popularity on Amazon. I liked how it provided the joints with light support and a comfortable feeling. The cotton and nylon blend made it pretty form fitting to the muscle as well. 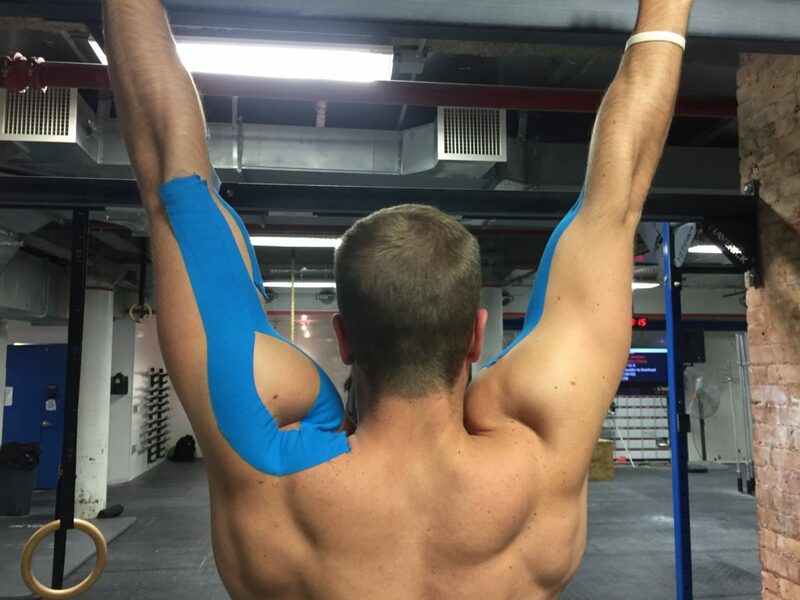 I did experience some issues with the tape staying on over prolonged periods of time, so for longer sessions this may not be your best kinesiology tape option.